The best-known photograph of Sigmund Freud (1856–1939) is forbidding: cigar in hand, he appears grim-faced and imperious. The image bespeaks his complete confidence in the truth of his psychoanalytic theories, indeed in the whole venture of psychoanalysis, a field he created and, at least in the American sphere, a field that held sway in psychiatric treatment through the first half of the 20th century. 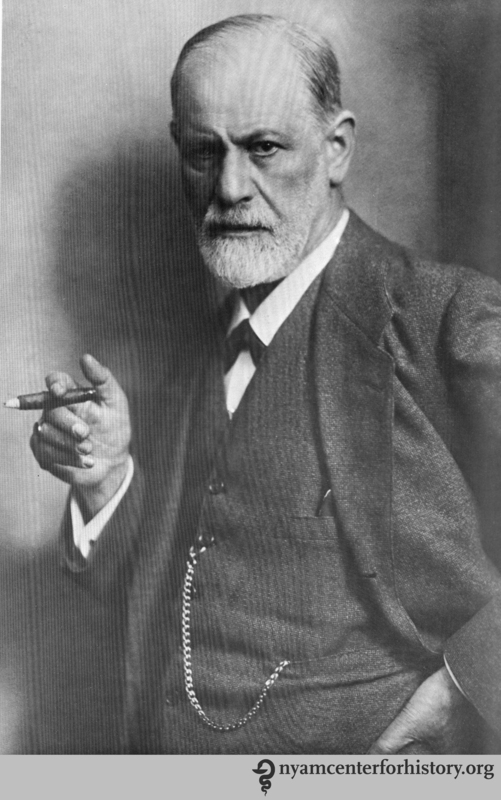 Freud circa 1921. In Ernst L. Freud, Lucie Freud, and Ilse Grubrich-Simitis, eds., Sigmund Freud: His life in pictures and words, 1978, reprint 1998. But that success was in the last half of his life. In honor of Freud’s 160th birthday, May 6, we wanted to present pictures of young Freud before his breakthrough works of the late 1890s, pictures of a man on the make in the intellectual culture of Vienna. First, pictures of Freud with father Jakob and mother Amelie, when he was age 8 and 16, respectively, in Vienna. Born in Freiberg, Moravia, within the Austro-Hungarian Empire, Freud moved with his family to Vienna within a year. That city would remain his home until he moved to London in 1938, after Austria’s annexation by Nazi Germany. 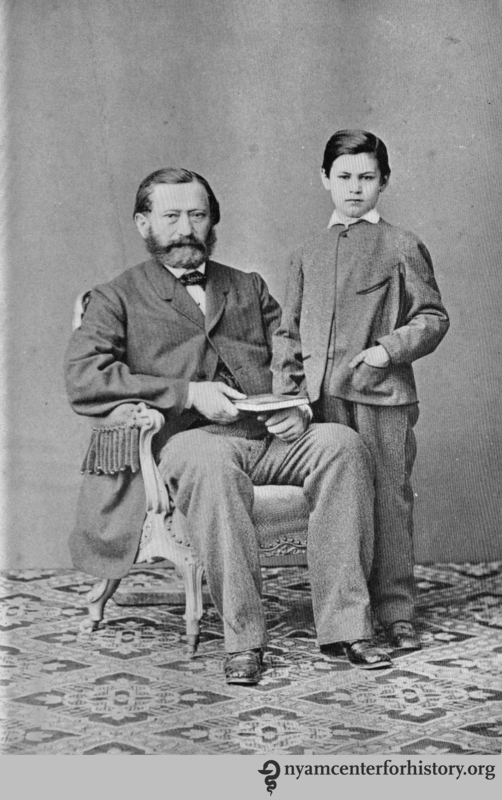 Freud with his father Jakob in 1864. In The Freud centenary exhibit of the American Psychoanalytic Association, 1956. 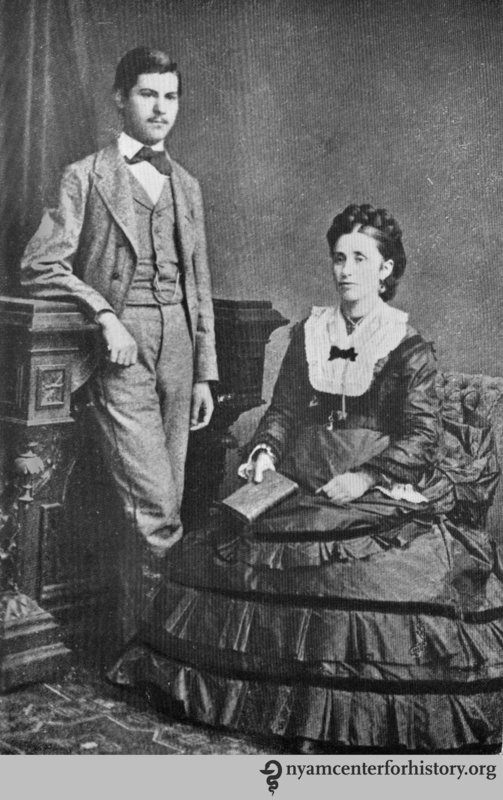 Freud with his mother Amalie, circa 1872. In The Freud centenary exhibit of the American Psychoanalytic Association, 1956. 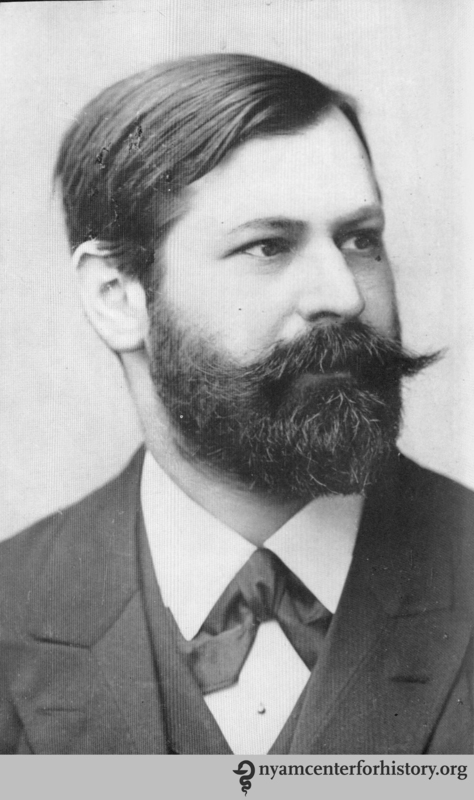 After excelling in high school, the Leopoldstädter Kommunal-Realgymnasium, Freud entered the University of Vienna at 17 and graduated with his medical degree eight years later, in 1881. Interested in neurology, he hoped for a career in academic medicine. Here, Freud in a wedding photograph with Martha Bernays in 1886, age 27. At this point, he had been out of medical school for five years, had begun his career at Vienna General Hospital (Allgemeines Krankenhaus der Stadt Wien), and had spent five months in Paris studying with the great French neurologist Jean-Martin Charcot, whose work on hypnosis would prove revelatory. 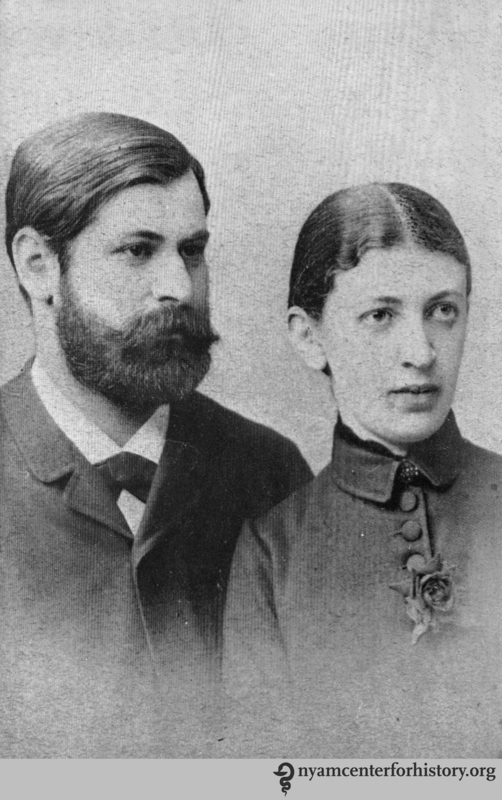 Freud with Martha Bernays, 1886. In The Freud centenary exhibit of the American Psychoanalytic Association, 1956. And finally, a portrait of Freud in 1891, five years after starting his private practice, where using hypnosis and free association he began to develop the new discipline of psychoanalysis. His works, Studies in Hysteria (1895) and The Interpretation of Dreams (1900), made his reputation. The second half of his life was spent elaborating and defending his ideas within the medical profession and in broader intellectual life. Freud in 1891. In The Freud centenary exhibit of the American Psychoanalytic Association, 1956. This entry was posted in Collections, History of medicine and tagged photographs, psychoanalysis, Sigmund Freud by nyamhistorymed. Bookmark the permalink. Did you see the NYT story this morning about his sisters deportation from Vienna to concentration camps?